Our team landed in Indianapolis, Indiana, to meet with top archery and bowhunting industry vendors at the Indiana Convention Center. ATA draws more than 10,000 retailers, buyers and exhibitors to showcase new and top products for 2018. 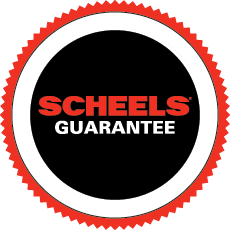 We sent a camera crew to tour the floor in search of top products that you can expect to see at SCHEELS in 2018. All of our videos from #ATA2018 are located here. We wanted to share in the excitement of the products being released by providing a series of videos with our top brands. Choose a category and enjoy watching what we captured for you. Use the comment section below to start a conversation and let us know what you would like to see next year!